SAN FRANCISCO -- Ford Motor Co.'s 3,200 U.S. dealerships may buy customer relationship management software at a discount beginning in the third quarter from the winner of four finalist vendors. Coopes: FordDirect plans to offer the winner's software to Ford dealers starting in the third quarter. CRM software identifies customers and sales prospects. Then it is used as a platform for marketing sales and service to them via phone, text, direct mail or other digital medium. 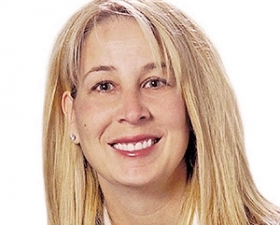 FordDirect, a joint venture between Ford and its dealers, has narrowed CRM finalists to DealerSocket, VinSolutions, eLead and Interactive 360, said FordDirect CEO Stacey Coopes. FordDirect intends to choose one vendor and offer its software to Ford dealers at a discount beginning in the third quarter, Coopes said. That's a model FordDirect has used to help dealers find top-ranked software tools and vendors for such services as digital marketing and reputation management. Coopes said FordDirect uses its volume-buying leverage to negotiate prices with vendors 30 to 40 percent below retail prices. Ford dealers then decide whether they want to participate with a certified vendor or go with another. DealerSocket is sharpening its pencil for the FordDirect job, said DealerSocket CEO Jonathan Ord. About 450 of the company's 4,000 CRM software customers are Ford dealers, Ord said. That includes Galpin Ford in Los Angeles, Five Star Ford near Dallas and other big operations, he said. VinSolutions also is pursuing the contract, said the company's vice president of sales, Sean Stapleton.